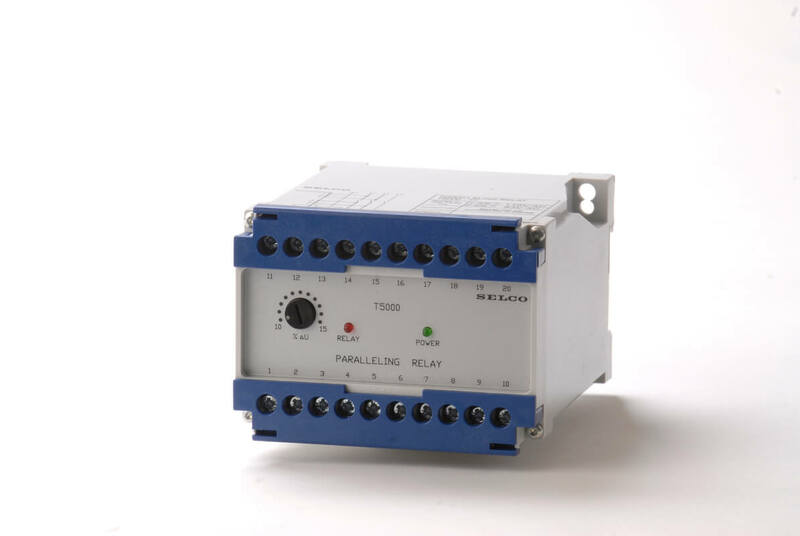 The Paralleling Relay T5000 can be used as a check synchronizer, inhibiting closure of circuit breaker if synchronizing parameters such as voltage, frequency and phase angle are outside limits, thus preventing generator damage and disturbance to the busbar. The T5000 Paralleling Relay is in fact a check synchroniser. The T5000 has two separately insulated voltage inputs, one for each system. A built-in relay will close when voltage, frequency and phase are within safe limits. The relay output can be connected in series with a manual contact to operate the circuit breaker between the two systems. A voltage adjustment is provided on the front facia. The voltage adjustment can be set to accept closure when voltage difference between the two systems is within the range of 10 to 15%. LED based indication of relay activity is also provided.